Providing you the best range of HDPE geomembrane with effective & timely delivery. 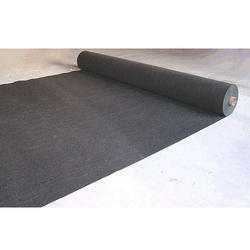 We also deal with NonWoven Geotextile. Subsurface Drainage: Non-woven Geotextile serves as excellent filters, allowing subsurface water to flow into the drains while preventing adjacent soil from clogging the system. We also deal with Biaxial Geogrid. 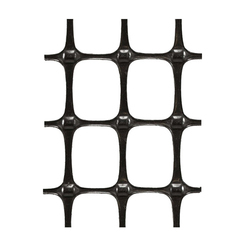 Biaxial Geogrids are excellent for construction of access road, haul road in mines where the large thickness of aggregate is lost in soft subgrades due to rutting. 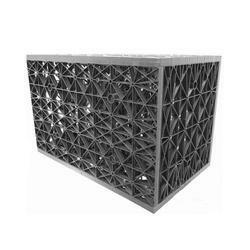 For heavy-duty pavement such as in container yards, port areas, airports, having large axle loads, one or more layer of Biaxial Geogrid can be used to minimise the differential settlements. Railway track that overlies soft subgrade always experiences rapid and permanent settlement leading to disturbances of formation levels. When railway track ballast is reinforced with Biaxial Geogrid, it achieves higher stiffness levels and the formation level is undisturbed. Strong and positive interlocking action with the ballast, which prevents lateral movement to minimize migration of fines from subgrade. Drastically improves rail safety at higher speeds over weak and wet soil conditions. 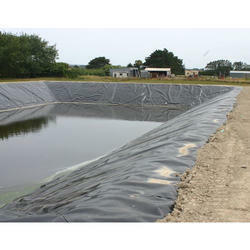 We also deal with Geomembrane Sheets. Simple and economical Design solutions for Water Detention, Exfiltration and Reuse Versatile Water Harvesting Systems offers several unique features incorporation. High strength modules - used under traffic areas. Low cost compared to retention ponds and concrete tanks. Looking for HDPE Geomembrane ?